This special form of jasper, also know as orbicular jasper, is found in Madagascar. It is located at the edge of the ocean, and can only be seen and collected at low tide. 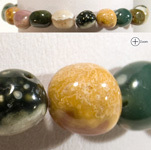 All jasper is a form of chalcedony. 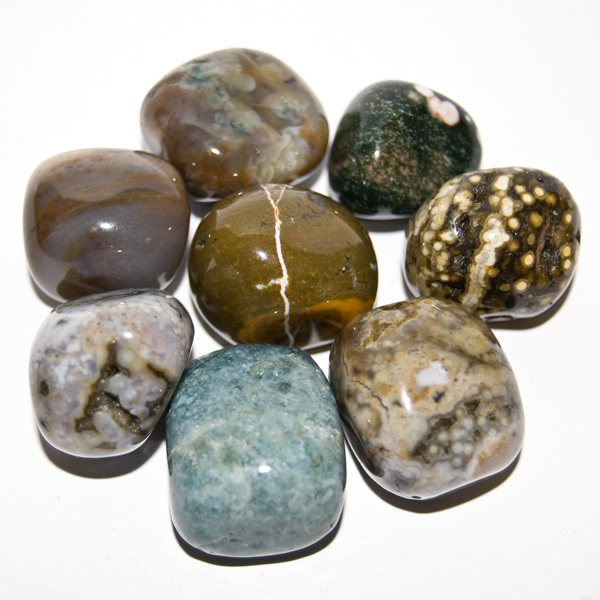 Ocean jasper has a soothing and nurturing effect and is great for emotional release. 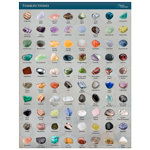 It protects against negativity and helps one to be grounded to the stabilizing energies of the earth.